With five goals in six Bundesliga matches so far this season, 1. 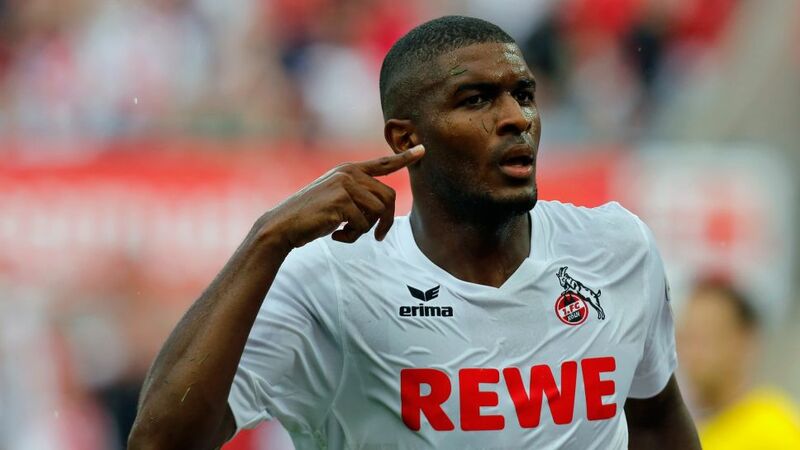 FC Köln striker Anthony Modeste is in the form of his life. Make Modeste your number one signing during unlimited transfer week on the Official Fantasy Bundesliga - click here for more! bundesliga.com: Anthony Modeste, you scored against FC Bayern München at the Allianz Arena for TSG 1899 Hoffenheim. Now you've done it once again for Köln. How did you feel after scoring such an eye-catching goal on Matchday 6? Anthony Modeste: It's always special to score in Munich because you're playing against the record Bundesliga champions, and not many players get the better of Manuel Neuer. The most important thing, though, was that we went home with a point. We also had a bit of luck on our side, what with Bayern hitting the post and crossbar, but we played with more confidence and carefreeness in the second half. The coach reminded us that we have nothing to fear and to give everything. 'We've got nothing to lose in Munich. Have fun.' And we did. bundesliga.com: How do you explain your rich vein of form in front of goal? Modeste: I feel happy and was able to prepare really well for the season. I'm also not new to Köln any more. At 28, I'm one of the oldest players in the team and I like having the responsibility. It gives me a great feeling. bundesliga.com: The fans and the city are already dreaming of the UEFA Champions League. Are you? Modeste: I'm staying realistic: We've played six matches. The season is long and a lot can still happen. We'll do everything to keep up our good run. If we're still towards the top of the table in April, then we can talk about Europe - but not before. "It's part of my job to stop the young players from getting too carried away." bundesliga.com: Köln finished ninth last season. What objective have you set this term? Modeste: To consolidate ninth place. We've already laid the foundation. We want to maintain our form for as long as possible. If we finish higher than ninth at the end of the season, even better. bundesliga.com: Why is it going so well for Köln at the moment? Modeste: Last season, we had a relatively young team that's now more mature. Almost all of our players have a full Bundesliga season behind them. We're all playing with a lot more confidence now. We don't have any stars and we all have fun together. That's our biggest strength. bundesliga.com: How important was the club's summer transfer policy? Modeste: It's definitely played a big role. The powers that be made some shrewd signings. All the key players are still here and the few that have come in have made us better. We've got a strong squad and there are still a lot of good times ahead. bundesliga.com: Bottom club FC Ingolstadt 04 are next up at the RheinEnergieSTADION. Is the onus on you to win? Modeste: Absolutely. In front of our home fans, we want to do the running. We want to build on our performance from the Bayern game. The Ingolstadt game will be a tough task because they've only got one point on the board and obviously want to improve their position. I'm optimistic we'll get the win at home, especially if we can stay humble on the pitch and continue to work hard in training. It's part of my job to stop the young players from getting too carried away. "If we're still towards the top of the table in April, then we can talk about Europe." bundesliga.com: Is there a risk of you underestimating Ingolstadt? Modeste: No, because no one here is that presumptuous. We respect every opponent, but of course we want to beat each one. That's why we will not underestimate Ingolstadt and will approach the game with passion and take it seriously. Three points would put us comfortably clear of Ingolstadt.